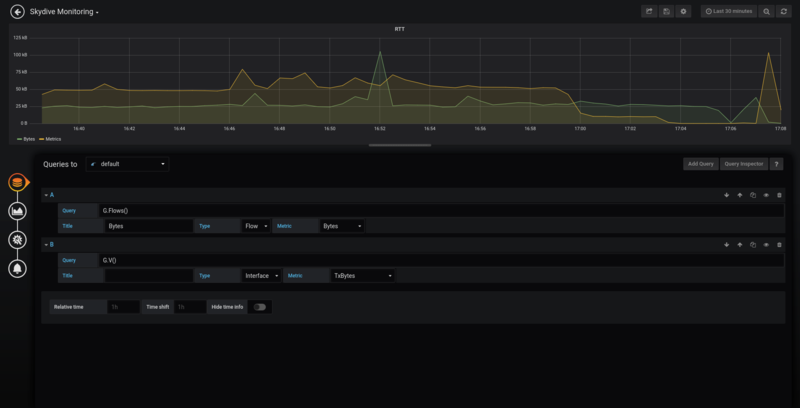 Skydive Datasource for Grafana 3.x. If using Authentication, just use the Basic Auth and provide User/Password of Skydive Analyzer. Refer to the Skydive Gremlin section for further explanations about the syntax and the functions available.